Logitech is leading the market in business webcams and today we’re taking it to the next level by offering Unified Communications solutions for enterprises and businesses of all sizes. 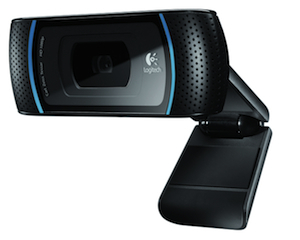 We’re happy to announce that our latest addition to our business webcam line-up, the Logitech B910 HD Webcam, is optimized for Microsoft Lync 2010, the next generation of Microsoft’s unified communications software. The Logitech B910 HD Webcam offers crystal clear 720p HD video conferencing and stereo audio for business users on their PC. Early next year, we will also introduce corded and wireless headsets optimized for Lync. With new HD webcams and headsets optimized for Lync, along with a portfolio of enterprise HD video conferencing products from LifeSize, we are firmly committed to deliver a range of high quality video communications solutions to businesses – from an employee’s desktop to the conference room. This is yet another step towards delivering on our promise to drive video communications mainstream by bringing a seamless HD video calling experience to anyone – consumers and businesses – on any screen. Experience unified conferencing solutions with integrated and audio, video & web conferencing from http://www.whizmeeting.com via multiple options to conduct and monitor your online conference via WhizMeeting Desktop Client or via the web browser based non-download-able ConCall Manager.